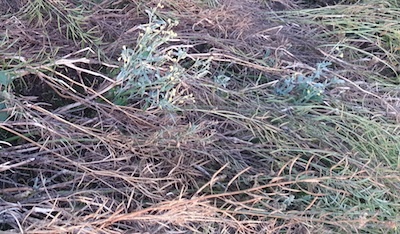 Sclerotinia could be bad this year but the window to apply fungicide has closed for most crops. Rhizoctonia foot rot, shown above, may explain some toppling plants. 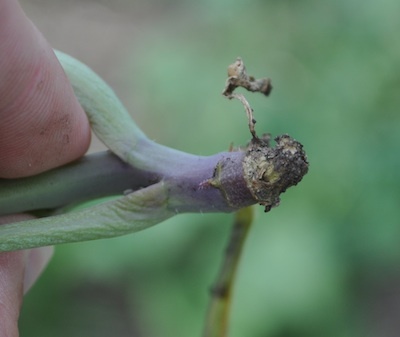 The weeks leading up to harvest are a good time to scout for blackleg and clubroot.